Splitsville Luxury Lanes is opening January 29 at Disneyland’s Downtown Disney District. The bowling and dining destination will feature a menu that includes some standard bowling alley fare like burgers, and some not-so-standard items including sushi. The menu will also feature “Macho Nachos;” Poke Bowls that can be customized with tuna, salmon, or tofu; a sweet and spicy chicken bowl; and more. 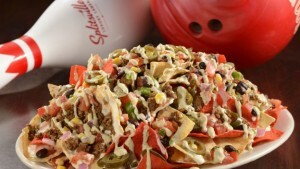 And of course there’s also bowling, lots of bowling at Splitsville Luxury Lanes.